Sometimes I wish I were Don Draper. 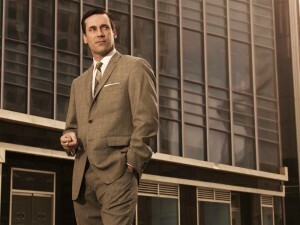 The characters on Mad Men lead blissfully siloed lives. Don’s family life, work life and his double life are able to exist separately from each other. He has the freedom to tailor his conduct depending upon his environment. And he can easily control the flow of information between his silos. There’s no need to worry about his behavior at the office Christmas party because it certainly won’t get back to his wife. Alas, I am no Don Draper. I’ve had a Facebook profile for my entire professional career. I am a citizen of the internet. Since the heyday of Madison Avenue, technology and the notion of privacy have changed how we live, work and play. One’s presence on the web breaks down the silos that once housed distinct groups and sets of contacts. Very simply, life is lived more publicly. So, what does this mean for the average Joe working for a nonprofit? And, what does this mean for the organization that employs our average Joe? Your personal brand is inevitably linked to your organization’s brand, and vice versa. Period. The challenge at hand is managing it. Empower employees. Provide training to give employees guidelines for interacting with the organizational brand. Don’t push it. Yes, it’s great to have insiders to cross-promote the organizational message, but it’s got to be natural. Don’t pin your employees to the wall with requests to retweet your latest news item. Be organic. Authentic voices are the most trusted. Sure, promote your organization, but do it when it feels right. Whether you believe it or not, you are bigger than yourself. Social media profiles don’t exist in a vacuum. It’s very easy to connect you to the organization you work for. You wouldn’t want to reflect badly upon them. P.S. In the end, even Don Draper’s silos broke down, at least online. After the show premiered in 2007, a devoted group of Mad Men fans developed a full rolodex of Twitter personalities.